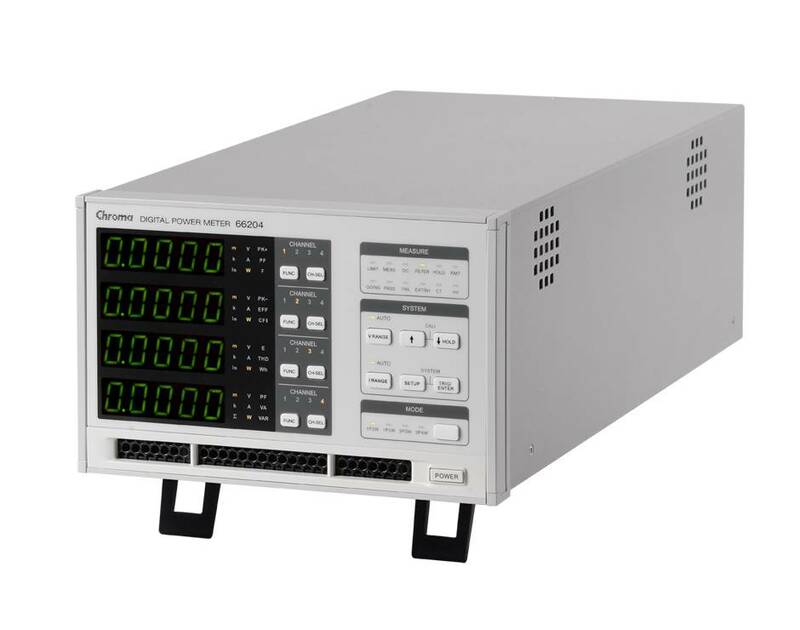 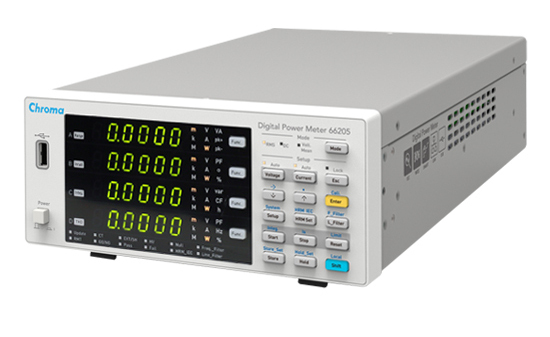 The Model 66201 includes simple measurement functions designed for single phase low power applications (maximum current 2A). 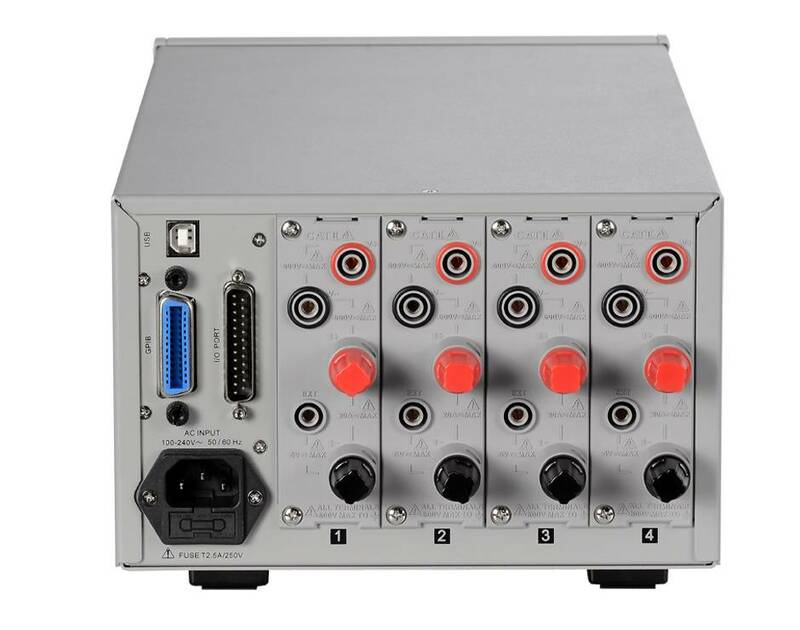 Examples of these devices are AC adapters, battery chargers, LCD monitors, and similar devices. 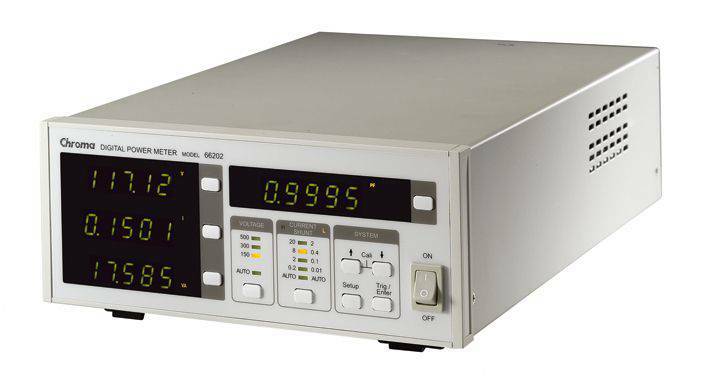 The Model 66202 includes a 2-shunt design to provide highly accurate readings for both low and high current measurements. 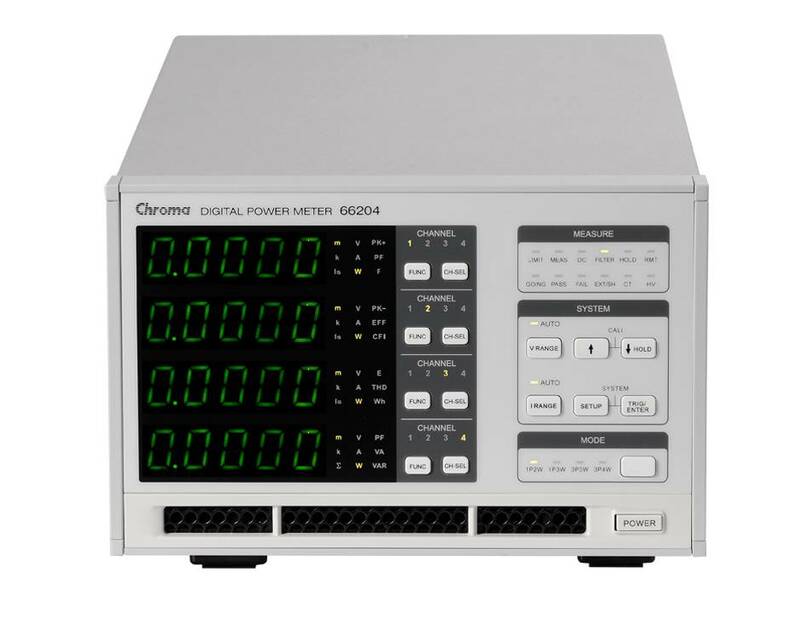 Chroma 66203/66204 Power Meters are designed for multiple phase power measurement applications.